Try to stop a moment from your activities. try considering whether you feel tired and weak in the more recent past? if so, you may be suffering anemia. Do not consider this issue lightly because it can impact more serious, if not handled quickly. causes, among other factors, hookworm infection, malaria and malnutrition. Animea can also be caused by a lack of blood after the surgery, a contagious disease of cancer, kidney failure, HIV / AIDS, or to undergo chemotherapy. Animea appear due to the decrease in the number of red blood cells below normal. Defisiensi caused by iron (fe), folat acid, and vitamin B12. Fe plays a role as the main oxygen carrier throughout the body. Lack of hemoglobin will cause the body to work harder to get enough oxygen. This is the penyebab that trigger a fatigue. animea symptoms such as the diminishing appetite, being dizzy, hands being numb frequently when standing after squat down for a while. To take care animea, the causes of it to be defined first. If the result because of poor nutrition, lack of fe and vitamin B12 or folat acid, it can be overcome with supplements and good nutrition. If animea caused by the loss of blood due to bleeding, then handling it by giving hemoglobin. Meanwhile animea due to the disease of cancer, hepatitis or HIV / AIDS, then erythropoietin shoult be given. Erythropoietin is a synthetic compound from the natural hormone that can menstimuli production of blood cells. 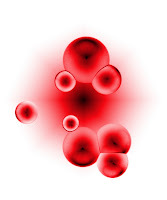 Blood transfusion is needed only if the number of red blood cells is below the tolerant limit. Spinach contains many fe, phosphate salt, vitamins A, C and K, amarantin, potassium nitrate and piridoksin. For animea remedy, a half handfull of spinach are needed. Wash it cleanly and smooth with the miller. Add half a cup of boiled water. press and filter it take only its extract/water. Add a chicken egg yolk and one tablespoon of honey. Mix it well. this herbal ingredient is only for drinking once, carried out twice a day. Green beans contain vitamins B1, B2 and niacin. To cure animea needed as a cup of green beans. After it being washed, mix with two cups of drinking water, boiled until it remaining 3/4 cups. Drink it after geting warm. This herbal ingredient is only for drinking once. It is recommended to drink twice a day. These plants contain saponin, flavonoid and polifenol. for medicine, tapak Liman plant can be used entirely. Take the three stem of tapak liman, clean and wash with boiled water as much as three glasses of the water until reduced to living one-fourth. After it getting cold, filtered and add a honey adequately. This herbal ingredient is only for drinking once, carried out twice a day. If you want to use its root, so you need a one-fourth handfull of it. clean and smooth with the miller, squeeze and mix with one tablespoon of pure honey and two teaspoon lemon juice. squeeze and filtered. research shows the rate of fe at the root is 45.4 mg% and 30.2% in its leaves. dose for animea needed for as much as 3/4 finger lempuyang wangi roots. after washed and cut as necessary, boiled with 5 cups of water until reduced to a half. After it being cool, filtered and add a honey as necessary. This herbal ingredient is only for drinking once, It is recommended to drink twice a day.